Let it crack – with our mobile omnivore! 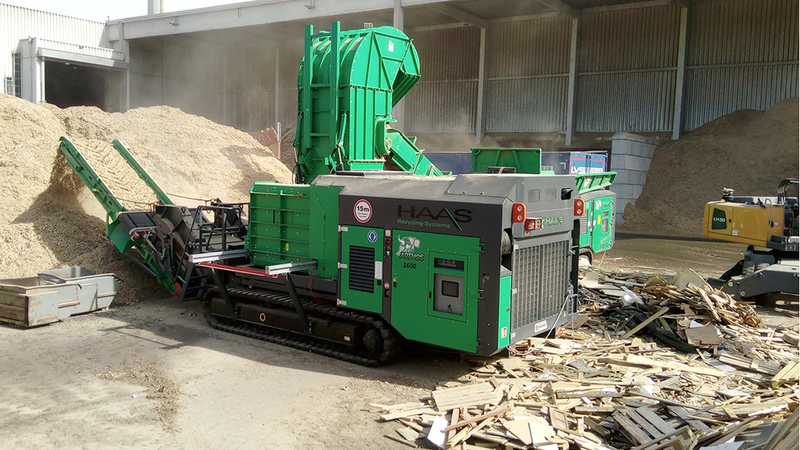 HAAS ARTHOS 1600 - the first mobile hammermill - was one of the highlights at IFAT 2018! The hammermill will be mobile for the first time, on tracks and will effortlessly perform, even in the most difficult environments. In the stationary sector, the HAAS ARTHOS hammermill has so far been known as the "HSZ" and has been a popular secondary shredder among connoisseurs for years. The developers at HAAS have now succeeded in ideally adapting the technology of the stationary version to mobile technology. Thanks to the ballistic chute specially developed by HAAS, impurities in the input material are automatically separated. The system has been in stationary use at many well-known companies for several thousand operating hours and has proven itself. The machine does not have to be stopped to remove the impurities, thus downtimes are significantly minimized and costs thereby reduced! Another highlight of the HAAS hammermill is the very simple screen exchange as the machine can be opened hydraulically. The operator has the possibility to change the screen basket within a very short time and thus to vary the size of the output material.